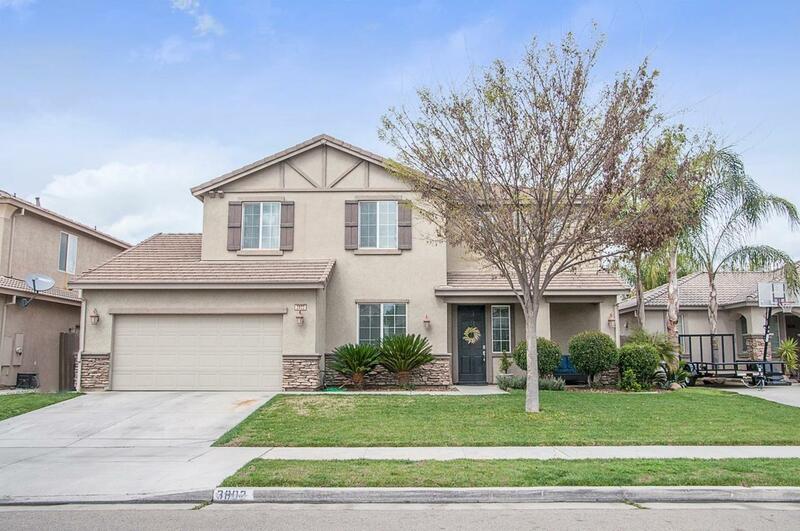 Beautiful southwest Visalia home! As you walk into this 4 bedroom, 2.5 bath home, you are greeted by a formal dining space and grand staircase with an open loft space. The open concept kitchen and living room offer plenty of space for your family to unwind in front of the fireplace. This home offers ample pantry space, and a downstairs half bath. Upstairs you will find a spacious master bath with a glass wall shower, soaker tub, and walk-in closet. Three additional bedrooms and a full bath provide plenty of space for growing families. A three car tandem garage with a pull through to the backyard offers endless options. Step outside and your are greeted by lots of room for outdoor fun and no back neighbors! This home backs up to a walnut orchard. Showings are limited, don't miss your chance! Listing provided courtesy of Abigail Rogers of Keller Williams Realty Tulare County.